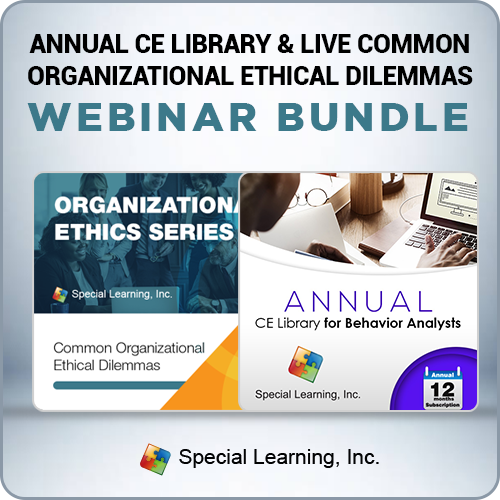 During this LIMITED time offer, purchase our Annual CE Library Subscription and get FREE access to our LIVE 12/12/2018 LIVE Webinar Common Organizational Ethical Dilemmas Webinar with Dr. Jon Bailey, PhD, BCBA-D. NOTE: (1) To add the Ethics Webinar, scroll down to the bottom of the page and add the product to your cart. (2) The Organizational Ethics Webinar excludes Ethics CEs. 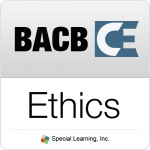 You can purchase the Ethics CE by adding the product to your cart. With our CE Library for Behavior Analysts, you can access exceptional content that allows you to meet 100% of your CE re-certification requirement from your office, home or wherever you happen to be, easily and cost effectively. 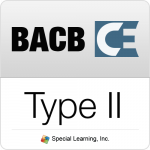 Meet 100% of BACB CE requirements in one library!